Conejos County is located in the San Luis Valley in south central Colorado, stretching from the Rio Grande westward to the Continental Divide. Just northwest of Antonito, in the old plaza of Conejos, is the oldest church in Colorado. Antonito is also the eastern terminus of the Cumbres & Toltec Scenic Railroad. Manassa is most famous as the hometown of Jack Dempsey, the "Manassa Mauler," World Heavyweight Boxing Champion many years ago. 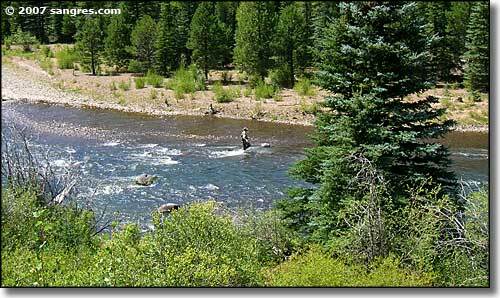 Conejos County contains 1,287 square miles of land and 4 square miles of water.